known as the Waterfall Style. but good examples are fairly rare. as we ponder the glamour of this curvaceous house. and particularly texture of the external walls. to emphasise the horizontal lines. and in lineal patterns across the brickwork. 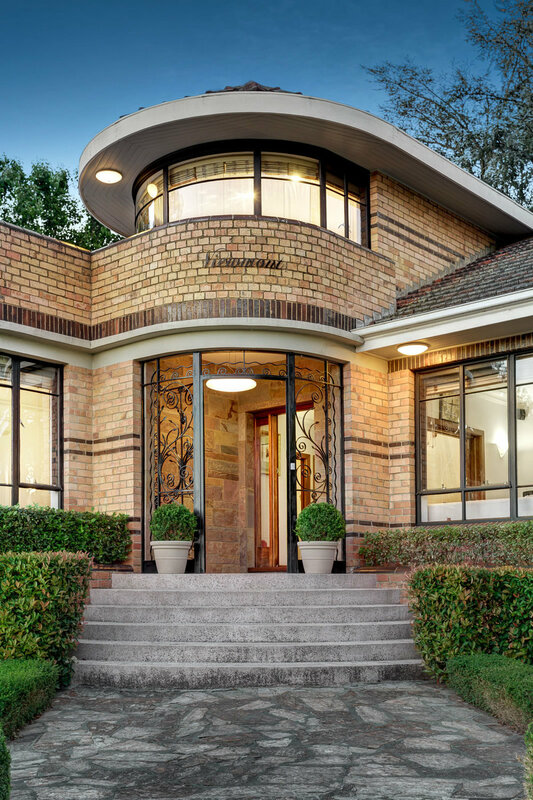 The glazed brown bricks on the window sills, the top & base of the walls, and a repeated double band through the centre of the windows are typical of the Waterfall Style in Australian domestic architecture. and it is because of them that I so love this style of architecture. which were often painted black or dark brown to match the glazed brick bands. or in rare cases they were actually made from curved timber slats. Even the steel door, and its matching glazing, is curved in this house! 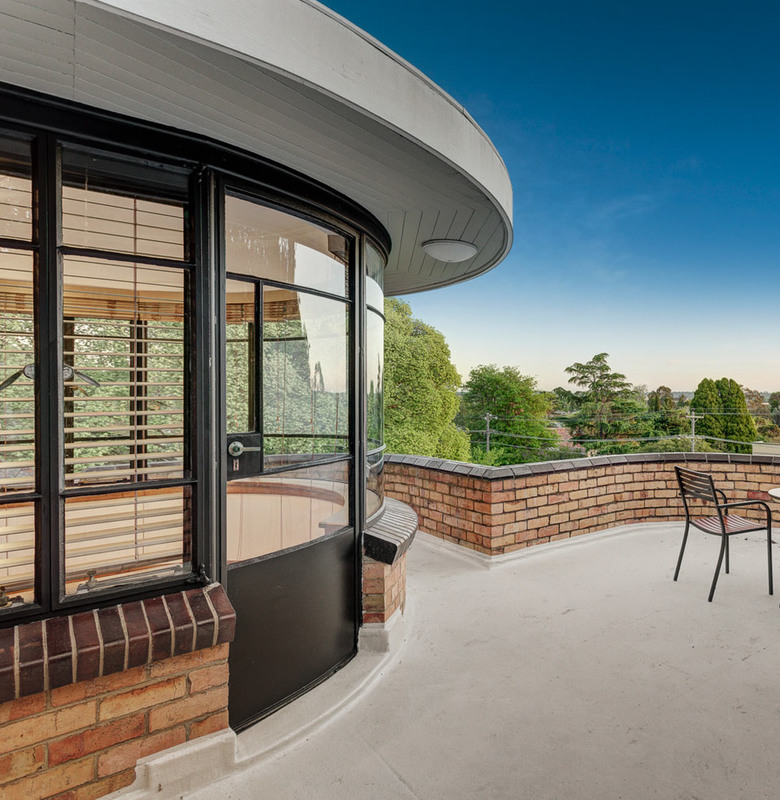 And of course, the terrace has a curved balustrade to match. and was sometimes hidden behind a parapet from the Streamline Moderne influence. Simple white walls, polished timber floors and a curved cornice allow the windows to take centre stage. which is beautifully played here with the simple white walls and uplit wall lamps. which you can see in the number of curved windows facing the front path. And if one curved window is good, two are even better, it would seem…. but also as a sunlight-filled family home.